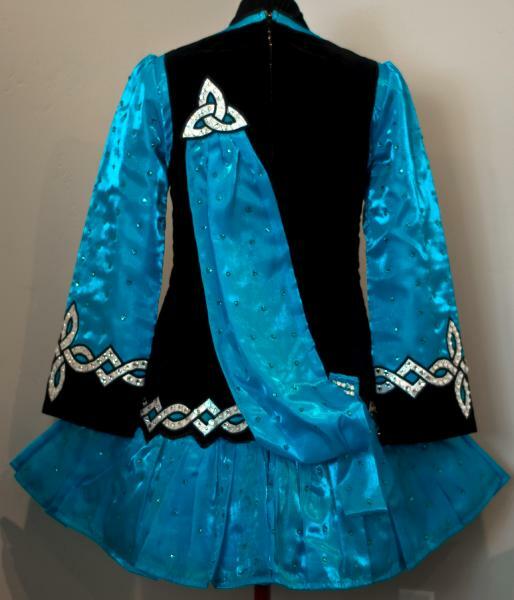 dance.net - Alison Thrasher Solo for sale (10242119) - Read article: Ballet, Jazz, Modern, Hip Hop, Tap, Irish, Disco, Twirling, Cheer: Photos, Chat, Games, Jobs, Events! 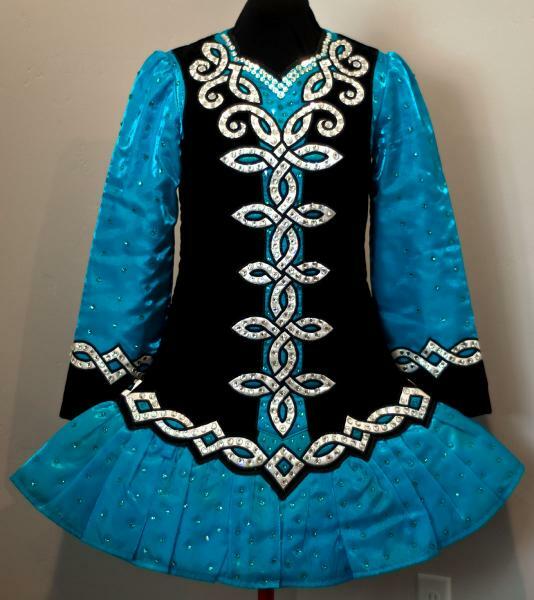 Beautiful Alison Thrasher Irish Dance dress for sale. 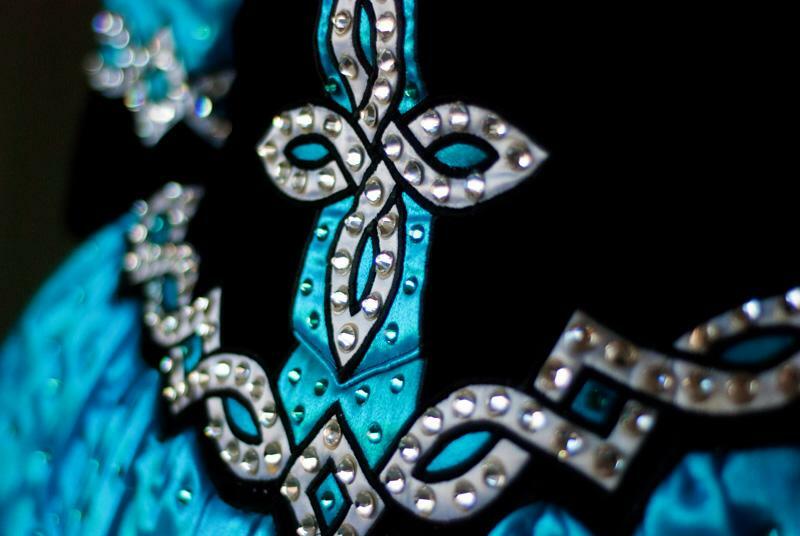 Main fabrics are turquoise twinkle satin and black micro-velvet. 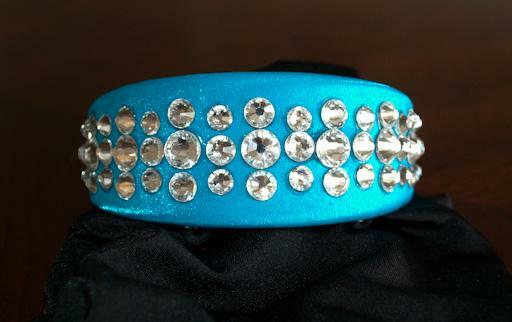 Covered in Swarovski crystals. Dress has been meticulously cared for and is in excellent condition. Comes from a pet-free, smoke-free home. 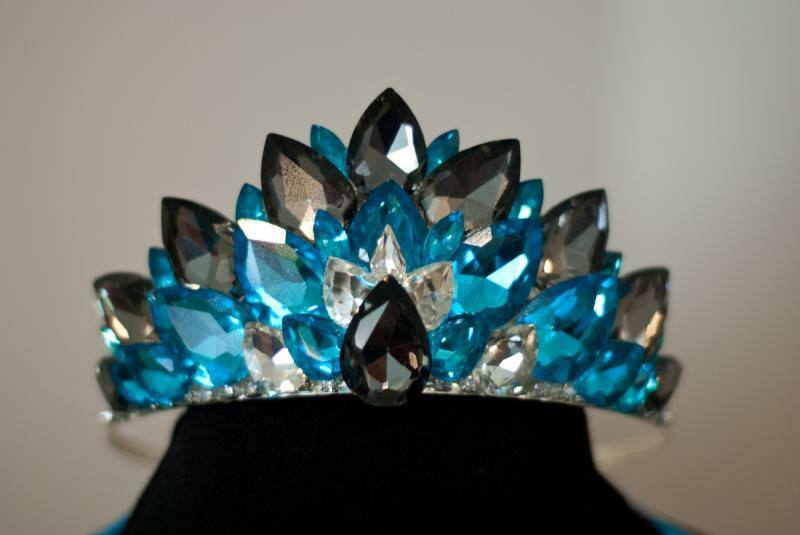 Includes two matching headpieces and spare Swarovski crystals. $750 obo, shipping included within mainland US. Natural Waist to dropped waist: 5"
Front Neck to dropped waist 19 3/4"
Please PM for inquiries. I'm happy to provide more measurements and photos!